Galaxy S8 on Android 8.0 Oreo: how to register for the beta program, Samsung has just posted an FAQ page for the Android 8.0 Oreo beta program for Galaxy S8 and Galaxy S8 +. 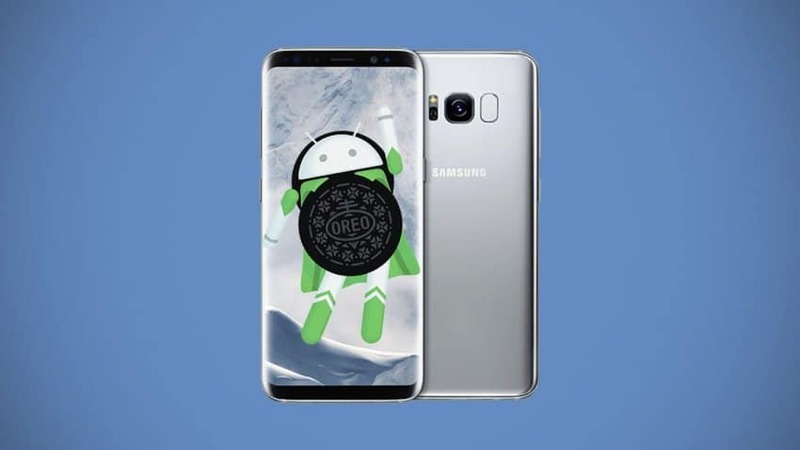 The webpage confirms that an Oreo beta program will be launched very soon on the two flagships in several countries, and also reveals how to join the program right now to test the update in the preview. The Samsung Galaxy S8 was presented on March 29, 2017. Among the features of this new member of the Samsung mobile catalog is an advanced hardware and operating inbuild Android 7.0 Nougat system with the new interface called Samsung Experience. The screen of the Galaxy S8 is 5.8 inches, with its dimensions (148.9 mm (height) x 68.1 mm (width) x 8 mm (thickness)) similar to those of many other devices with smaller panels. With QHD + resolution (2960 x 1440 pixels), the pixel density reaches 597 PPI. This component has no curvature on its sides in the style of Galaxy Edge and is a SuperAMOLEDtype panel. The processor Galaxy S8 is a SoC Exynos 8895 of eight cores operating at 2.3 GHz and which is used manufacturing technology 10 nanometers to increase power while power consumption is reduced. As you can see among the features of the Samsung Galaxy S8, the integrated RAM is 4 GB, so it is achieved with compact and powerful. It is only offered in a single data storage capacity of 64 GB, however, with support to expand it by using microSD cards of up to 256 GB. The cameras integrated into the terminal are 12 megapixels for the main, which includes an optical stabilizer, option to work with files in RAW format and aperture F: 1.7, with the possibility of recording at 4K. The front camera is 8 MP, with the same aperture and recording at 1080p. The built-in battery in the Samsung Galaxy S8 reaches 3,000 mAh, including this component wireless and fast recharge support. Regarding connectivity, the options are advanced since it is compatible with Bluetooth 5.0, NFC, WiFi Dual Band and, in addition, it does not lack USB type C port. Apart, and as seen in the technical sheet that is below, has support for Gigabit LTE Cat 16 connections. This model offers advanced security options such as iris and facial recognition in addition to a fingerprint sensor that is now in the back, next to the camera. These systems are used for the payment system with the Samsung Pay mobile phone in addition to the identification of the user when unlocking the device. In addition, the new intelligent assistant Bixby has been integrated into the system, Samsung’s competition for the Siri of Apple, Cortana of Windows 10 and Google Assistant that is in Android and will coexist with the Samsung proposal. If we believe the official FAQ page of the Galaxy Beta Program, which has just been put online by Samsung, a beta program for Android 8.0 Oreo will be launched very soon on the Galaxy S8 and Galaxy S8 + manufacturer. This beta program will be divided into two phases. At first, it will be reserved for users based in South Korea, the United States and the United Kingdom. Subsequently, the second wave of countries will benefit from the program: France, Spain, Germany, Poland, China, and India. For now, however, we do not know when this program will be deployed. On the other hand, the official page also reveals how to register for the program. Just create a Samsung account, and download the Samsung Plus app on the Google Play Store or Galaxy Apps Store. Within the application, a menu “Registration” allows submitting an application for registration in the Galaxy Beta Program. If the user meets certain criteria required by Samsung, which are not detailed, the registration request will be validated. Once this procedure is done, the user can install the beta version of Android 8.0 Oreo by going to the settings of his smartphone. In the “Software update” section, the “Download updates” button is used to download the Android update. Of course, it will be necessary to wait until the beta is available in France to be able to download it. Samsung recommends downloading the update in WiFi and performing a backup of the smartphone data on a PC using the Samsung Smart Switch application. To avoid software compatibility problems, the manufacturer also recommends updating the applications installed on the smartphone in their latest version. For users of Galaxy S8 and Galaxy S8 +, this beta program is an opportunity to try the update Android 8.0 Oreo in the preview. For Samsung, this program will collect feedback from users to improve its update before the final deployment. Beta testers can leave their feedback to Samsung via the Samsung Members app. 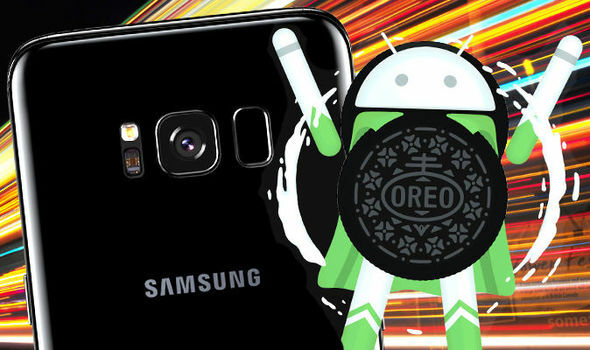 As a reminder, Android Oreo should be available on the Samsung Galaxy early 2018.